Ideas abound in everyone. When we put our heads and hearts into refining them, the results can be creative and satisfying. In restaurants this leads to a varied menu of dishes meant to enhance the beverages and time of year while keeping in mind the guests and the pocketbooks. Our goal is to present you with an assortment of simple to hearty foods, some rich, some light, straightforward to complex, just as long as they’re flavorful—and mostly good for us, too! Hydro’s building dates from 1906 after a 1901 fire destroyed a substantial part of the original town. 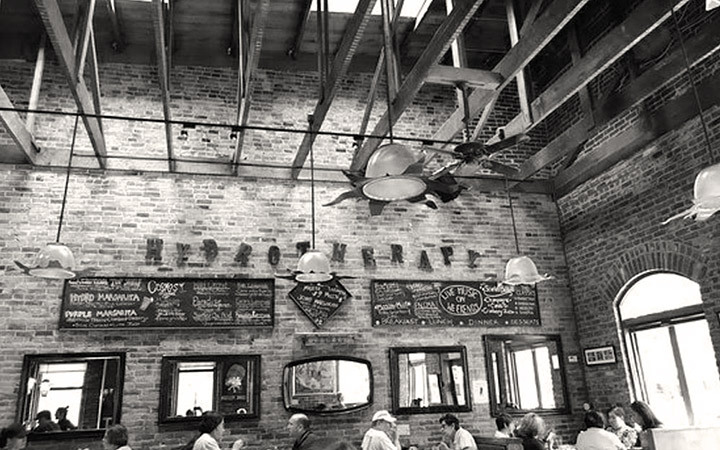 It may have started as a carriage house and stable for stage coaches and has been a hardware store and mercantile, a deli, a coffee house and has been in its current incarnation since 1996. 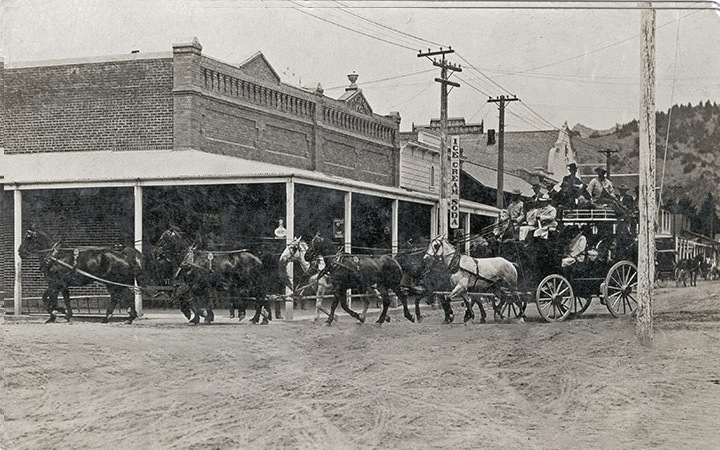 Photo, The Stage to Lake County, courtesy of Calistoga's Sharpsteen Museum. Alex and Gayle began their restaurant career in Calistoga in 1976 creating the Silverado Restaurant. Twenty years later the “big brick building on the corner” became available and they literally moved their operations “kitty corner” to occupy the historic building. Their sister business, All Seasons Bistro, has been a Calistoga feature since 1983. They celebrated forty years in the restaurant business in 2016! Join Us for Quality Food, Inspired Drinks and Great Local Hospitality.